Tags: console, xbox, PlayStation, interviews, streams. 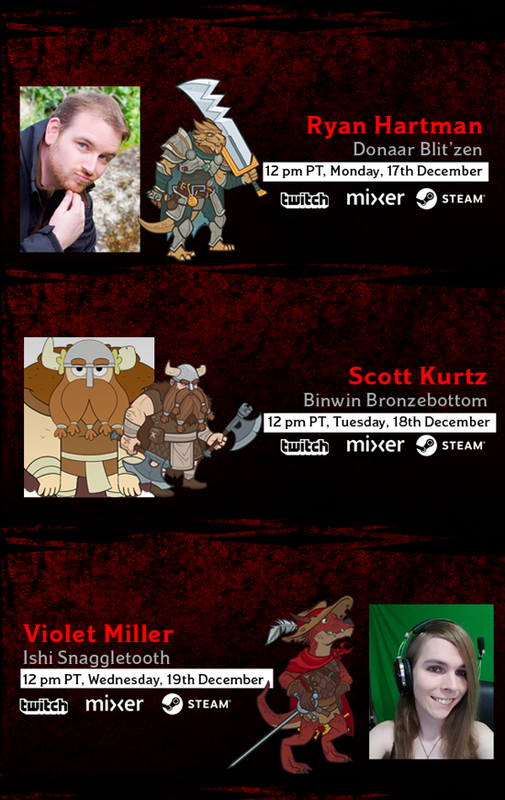 To celebrate the launch of the Idle Champions on PlayStation 4 and Xbox One, join our livestream interviews with the content creators whose D&D characters will now appear in-game on console. 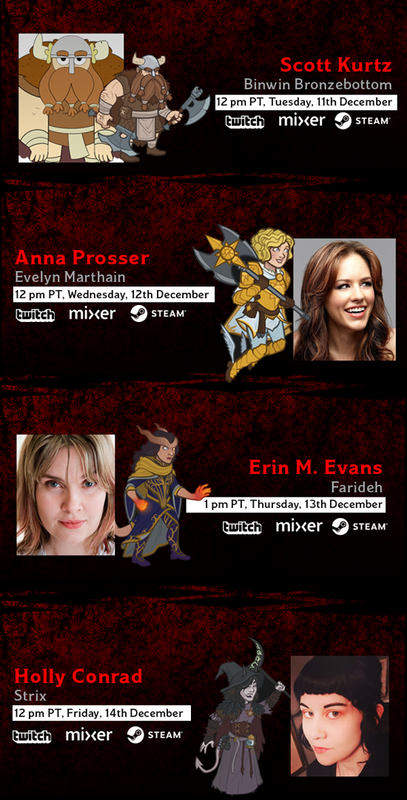 Check out the full schedule of interviews below. The fun starts with a special episode of Binwin Plays featuring our very own Dylan as a secret character. 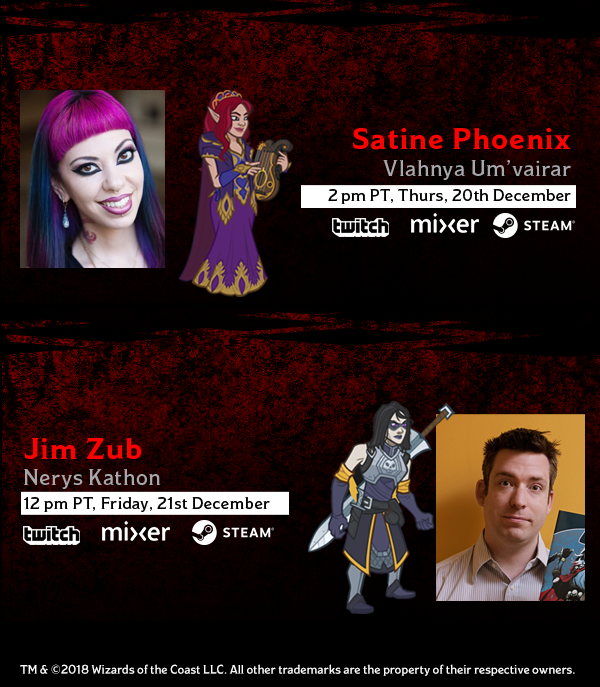 Then we end the interviews with Jim Zub, a writer for Marvel and DC Comics as well as the writer of the Baldur's Gate comic series. 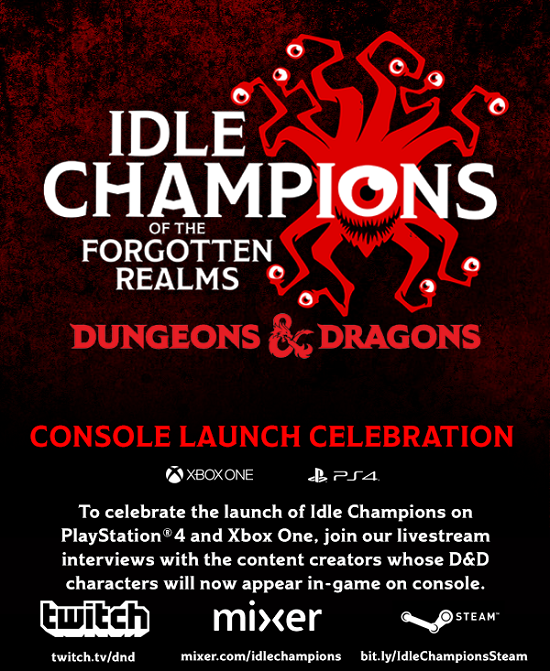 Idle Champions of the Forgotten Realms will be available for PlayStation®4 on December 11th and Xbox One on December 14th, 2018 in North America.